Being a novice website developer the hardest part of creating a new website is getting actual people to visit and navigate around your websites and more importantly always getting returning visitors back to your website on daily basis. Contents are the key, yes quality contents is the king, but coming up with the next great idea contents seems to be the easy part but it will never be a real success if you are the only person reading your work. As all publish quality contents need real traffics of people that will access and read them up on daily basis. Social bookmarking is my favorite, and it seems to be one of the most popular at the moment you can submit a link to one of your stories with a brief description and if it interests the rests of the social bookmarking directories you might make it to the homepage. 2. Article Directories – I have to admit that there are a lot of crappy articles on most article directories so if you put your well-written article on one it is bound to get snapped up by hundreds of content starved websites looking for new stories all they will all have backlinks pointing back to your website. Article Directories seems to be one of the greatest ways of getting quality and targeted traffic to your website, but here, in other to get a good result from article directories, you must get your article writing process right not just writing anyhow article, but writing an articles full of quality contents, uniques and provides solutions to problems facing our society. 3. Forums Posting – This has got to be the most time consuming one if you do it correctly you must find people who might have some interest in your site, in my case those are computer related forums and I try to help people with there computer problems and drop a link to my site in the signature box. Be careful with this one please don’t spam forums with a bunch of junk just to get your link out there if you can add to a discussion or help another member most forum admins will not have any problems with you putting a link in your signature or adding source link that links back to your website. 4. Website crawled – This is one of the hardest things to do but it has the potential to pay off big if you get a good ranking from Google. First, all you need is quality and targeted Active GSM NUMBERS And you can get the Entire GSM Numbers Of Nigerians Here for almost but a free give away. ENJOY: Hope the Article Web Traffic Tips, Easy Way Has impacted you greatly. the most important thing here is taking action and implementing the above-mentioned info tips, actions speak volumes, take action now and don’t forget to drop your comment on the comment section. 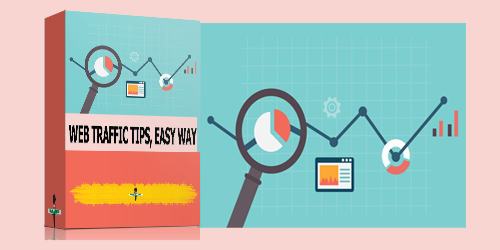 0 responses on "WEB TRAFFIC TIPS, EASY WAY"